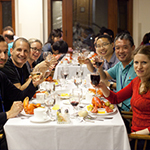 The eleventh Cold Spring Harbor conference on Systems Biology: Global Regulation of Gene Expression will be held at Cold Spring Harbor Laboratory and begin at 7:30 pm on Tuesday, March 15 and run through lunch on Saturday, March 19, 2016. 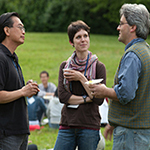 The conference is intended to foster cross-disciplinary exchange of ideas and expertise between experimentalists and computational biologists interested in the organization and control of complex transcription networks in eukaryotes. While a number of speakers have been invited, please note that the majority of oral presentations will be drawn from openly submitted abstracts. 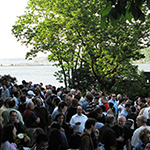 We look forward to seeing you at Cold Spring Harbor in March. 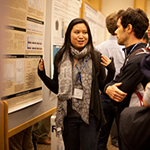 We anticipate that this conference will be supported in part by funds provided by the National Institutes of Health. Regular packages are all inclusive and cover registration, food, housing, parking, wine-and-cheese party, lobster banquet, etc. No Housing packages include all costs except housing. Full payment is due 4 weeks prior to the meeting. For individuals who are US citizens/permanent residents from minority groups under-represented in the life sciences. Please provide justification in writing to and state your financial needs. Preference will be given to those applying who submit abstracts to the meeting.